Nickname(s): "The Flour City", "The Flower City", "The World's Image Center", "ROC City"
Rochester ( /ˈrɒtʃɪstər/ or /ˈrɒˌtʃɛstər/) is a city in Monroe County, New York, south of Lake Ontario in the United States. Known as The World's Image Center, it was also once known as The Flour City, and more recently as The Flower City, annually hosting the Lilac Festival. It is the county seat for Monroe County. Rochester's city population according to the 2010 census is approximately 210,565, making it New York's third most populous city after New York City and Buffalo. It is at the center of a larger metropolitan area which encompasses and extends beyond Monroe County and includes Genesee County, Livingston County, Ontario County, Orleans County and Wayne County. This area, which is part of the Western New York region, had a population of 1,079,671 people at the time of the 2010 Census. As of July 1, 2012 Estimates indicated that this population rose to 1,082,284. Rochester was one of America's first "boomtowns" and rose to prominence initially as the site of many flour mills located on the Genesee River, then a major manufacturing hub. Rochester is now an international center of higher education, as well as medical and technological development. The region is known for many acclaimed universities, and several of them (notably the University of Rochester and the Rochester Institute of Technology) are nationally renowned for their research programs. In addition, Rochester has been and continues to be the site of many important inventions and innovations in consumer products. The Rochester area is currently home to corporations such as Kodak, Bausch & Lomb and Xerox that conduct extensive research and manufacturing in the fields of industrial and consumer products. The Rochester metropolitan area is the second largest regional economy in New York State according to the U.S. Internal Revenue Service, after the New York City metropolitan area. Rochester was ranked as the "most livable city" among 379 U.S. metropolitan areas in the 25th edition (2007) of the Places Rated Almanac. The Rochester area also received the top ranking for overall quality of life among U.S. metros with populations of more than 1 million in a 2007 study by Expansion Management magazine. In the same study, Expansion Management rated the area's public schools as sixth best nationwide. In 2010 Forbes rated Rochester as the third best place to raise a family. In 2012 Kiplinger rated Rochester as the fifth best city for families, citing low cost of living, top public schools, and a low jobless rate. Bridge originally built as an aqueduct for the Erie Canal in 1842, replacing the original construction from 1823. It was subsequently used for subway trains and, in the 1920s, the Broad Street Bridge was erected on top of it. This photograph shows how it appeared in 2002. Rochester was first known as "The Young Lion of the West", and then as the "Flour City". By 1838, Rochester was the largest flour-producing city in the United States. Having doubled its population in only ten years, Rochester became America's first "boomtown". Rochester experienced one of the nation's biggest revivalist movements, led by Charles Finney. By the mid-19th century, as the center of the wheat-processing industry moved west with population and agriculture, the city became home to an expanding nursery business, giving rise to the city's second nickname, the "Flower City." Large and small nurseries ringed the city, the most famous of which was started in 1840 by immigrants Georg Ellwanger from Germany and Patrick Barry from Ireland. Rochester, NY Broad Street aqueduct interior in 2011. After the Civil War, Rochester had an expansion of new industries in the late 19th century, founded by migrants to the city, such as inventor and entrepreneur George Eastman, who founded Eastman Kodak, and German immigrants John Jacob Bausch and Henry Lomb, who combined technical and financial expertise to launch Bausch & Lomb in 1861. Not only did they create new industries and thousands of jobs, but Eastman became a major philanthropist, developing and endowing the University of Rochester, its Eastman School of Music and other local institutions. Rochester is at 43°9′56″N 77°36′41″W﻿ / ﻿43.16556, -77.61139 (43.165496, −77.611504). 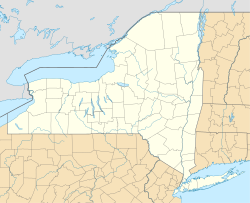 The city is about 65 miles (100 km) east-northeast of Buffalo and about 75 miles (120 km) west of Syracuse; it sits on Lake Ontario's southern shore. The Genesee River bisects the city. New York City is about 250 miles (400 km) to the southeast. According to the City of Rochester, the city has 537 miles (864 km) of public streets, 585 miles (941 km) of water mains, 44 vehicular and eight pedestrian bridges, 11 public libraries, two police stations (one for the east side, one for the west), and 15 firehouses. The principal source of water is Hemlock Lake, which, with its watershed, is owned by the state of New York. Other water sources include Canadice Lake and Lake Ontario. The 30-year annual average snowfall is just above 100 in (2.5 m). The monthly daily average ranges from 24.7 °F (−4.1 °C) in January to 70.8 °F (21.6 °C) in July. The high amount of snow that Rochester receives can be accounted for by the city's proximity to Lake Ontario (see lake effect). According to the 2010 census, the city's population was 43.7% White, 41.7% Black or African American (38.8% non-Hispanic Black or African American alone), 0.5% American Indian and Alaska Native, 3.1% Asian, 0.0% Native Hawaiian and Other Pacific Islander, 6.6% from some other race and 4.4% from two or more races. 16.4% of the total population were Hispanic or Latino of any race, mostly made up of Puerto Ricans. Non-Hispanic Whites were 37.6% of the population. In 1997, Rochester had the largest per capita deaf population in the United States. In 2012 Rochester had 2,061 reported violent crimes per 100,000 residents, compared to a national rate of 553.5. That same year, Rochester had 827 personal crime incidents and 11,054 property crime incidents per 100,000 residents. With 100 being the national average, Rochester scores a personal crime rate of 170 and a property crime rate of 134. Rochester is home to a number of declining Fortune 1000 and international businesses, including Eastman Kodak, as well as several national and regional companies, such as Bausch & Lomb, and Carestream Health. Xerox was founded in Rochester in 1906 as The Haloid Company, and retains a significant presence in Rochester, although its headquarters are now located in Norwalk, Connecticut. The Gannett newspaper company and Western Union were founded in Rochester by Frank Gannett and Hiram Sibley respectively but have since moved to other cities. Variation on Rochester Garbage Plate from Henrietta Hots with salt potatoes instead of homefries, with added bacon. A white hot garbage plate. The Ragú brand of pasta sauce was originally produced in Rochester. Some of the original facility still exists and produces products for other labels (including Newman's Own) as Private Label Foods. Other local franchises include: Bill Gray's (a hamburger/hot dog joint that lays claim to having "The World's Greatest Cheeseburger"), DiBella's, Pontillo's Pizzeria and Abbott's Frozen Custard. Dinosaur Bar-B-Que, which originated in Syracuse, also operates their second franchise downtown in the former Lehigh Valley Railroad station on the Genesee River. For shopping centers in the Greater Rochester Area, see Rochester, New York metropolitan area#Major shopping centers. For companies operating in the Greater Rochester Area, see Rochester, New York metropolitan area#Top regional employers. Co-Operative Foundry Company - a defunct foundry that made the Red Cross stove. Rochester is governed by a "strong mayor" serving as chief executive of city government and a city council consisting of 4 district members and 5 at-large members. Mayor Lovely Warren was first elected mayor in November 2013 defeating incumbent Thomas Richards in both a Democratic primary and General Election. Warren took in January, 2014 becoming both the youngest and first female mayor in Rochester history. The city's police department is the Rochester Police Department, headed by Interim Chief of Police Michael L. Ciminelli. Enforcement of property code violations in Rochester had been handled by the Neighborhood Empowerment Team, or NET. Rather than utilizing a centralized code-enforcement office, 10 sectors in Rochester were assigned a total of six NET offices by the city government. However, there had been complaints about the lack of consistency in the manner and severity of enforcement between NET offices. On July 16, 2008, the city announced that two of the NET offices would be closed and another relocated, due to what it had found to be the high cost and low value of operating the decentralized network. Following the restructuring, the remaining offices were renamed Neighborhood Service Centers, or NSCs. There is now one office per city quadrant which resolve quality of life issues, work with neighborhood groups, and pave the way for appropriate housing and economic development. The majority of code enforcement processes were consolidated into the Bureau of Inspection and Compliance within the Department of Neighborhood and Business Development located centrally in City Hall. The city is represented by Democrat Louise M. Slaughter of Fairport, Monroe County in Congress. She was first elected in 1987. New York's 25th congressional district covers the city. Rochester is represented districts 3, 4, 14, and 20–29 in the Monroe County legislature. The city of Rochester is protected by approximately 500 professional firefighters in the Rochester Fire Department (RFD). The RFD is the 3rd largest fire department in the state of New York and currently operates out of 15 Fire Stations, located throughout the city, under the command of 2 Battalion Chiefs and a Deputy Chief per shift. The RFD operates 13 Engines, 6 Trucks, 1 Heavy Rescue, 2 Haz-Mat. Units, 1 Salvage Unit(Rochester Protectives), as well as many other special and support units. There are 87 line division members working each shift, including chief officers & fire investigation (not including staff divisions such as Fire Safety, The Training Academy and Supply Depot). The RFD responds to around 40,000 emergency calls annually. Approximately 90% of RFD personnel are certified NY State EMTs and approximately 50% of the calls each year are for EMS. The RFD also operates its own apparatus repair division located at the Public Safety Training Facility. The current Chief of Department is John P. Schreiber. Rochester has a number of neighborhoods, including the 19th Ward, 14621 Community, Beechwood, Browncroft, Cascade District, Cobbs Hill, Charlotte, Corn Hill, Dewey, Dutchtown, Edgerton, Ellwanger-Barry, German Village, Grove Place, High Falls District, Highland Park, Dutchtown Maplewood (10th Ward), Marketview Heights, Mt. Read, North Winton Village, Otis-Lyell, Park Avenue, Plymouth-Exchange, Southwest, East End, South Wedge, Swillburg, Susan B. Anthony, University-Atlantic, Upper Monroe, and more are all recognized communities with various neighborhood associations. There are also living spaces in Downtown Rochester. Extending across much of the north-central cityscape of Rochester, now including parts of the old Hudson Avenue and North Clinton neighborhoods, is the 14621 community. Today this neighborhood is predominantly African American and Hispanic, this community suffered being the center of the 1964 riots. The riots did produce some benefits in the long run: the north-central area has been the site of ongoing urban renewal projects since the late 1960s, and, as noted by JULY ’64 filmmakers Carvin Eison and Chris Christopher, inspired the development of such important African American organizations such as The Urban League of Rochester as well as Rochester’s first anti-poverty organization (Action for a Better Community), and black community activist organization Freedom, Integration, God, Honor, Today (F.I.G.H.T.) founded by Rev. Franklin Florence and Deleon McEwen, the latter was its first president. The establishment of this program came through the assistance of Saul Alinsky. The neighborhood is still considered the most dangerous part of Rochester and is blighted by crime, drugs and gang activity. The 19th Ward has had an active community association since 1965, and is known for its ethnic, class, and cultural diversity. The current "Brooks Landing" development is successfully bringing new economic development to the community including an 88-room hotel, 20,000-square-foot (1,900 m2) office building, 11,000 square feet (1,000 m2) of new retail, and Boulder Coffee shop. Ontario Beach County Park in the Charlotte neighborhood of Rochester. Charlotte (shar-LOT) is a lake front community in Rochester bordering Lake Ontario. It is home to Ontario Beach Park, commonly known as Charlotte Beach, which is a popular summer destination for Rochesterians. A new terminal was built in 2004 for the Rochester-to-Toronto ferry service and was later sold after the ferry ceased operations in 2005. The Port of Rochester terminal still exists and has since been revamped. It now houses a high-end restaurant and event facility—Pier 45 at The Port, the restaurant Cheeburger Cheeburger, the restaurant California Rollin', a coffee shop named The Nutty Bavarian. The Corn Hill neighborhood near downtown is one of the nation's best preserved Victorian neighborhoods and a center for art. It is also home to Corn Hill Landing, a shopping and housing strip located on the Genesee River. The annual Corn Hill Art Festival, a two-day event held the weekend after the 4th of July, is one of the city's most popular gatherings for the display of art. Corn Hill is one of Rochester's smaller neighborhoods, but is nonetheless, one with an interesting history. The neighborhood name came about because (allegedly) in the early settlement days, those traveling the fast fowing Genesee River could see a large sized rolling hill covered with corn which had been planted by the immigrating Scots and English. By the late 1800s and well into the 1920s, Cornhill was home tosome of the wealthiest families. Situated on the southern edge of downtown, the neighborhood allowed fora short carriage ride or walk to the banks and businesses of New York's third largest city. The East End is a residential neighborhood in Downtown Rochester but also the main nightlife district. The Eastman Theatre, the Rochester Philharmonic and the Eastman School of Music are in the East End, along with the Little Theatre, an independent film theatre and many clubs, bars and high-end restaurants. A portion of the skyline of Rochester from a northeast perspective along the Genesee River. Maplewood is a northwest neighborhood located south of Eastman Business Park and between the Genesee River and Dewey Avenue. Much of the area's charm comes from the use of parkways as well as parks and greenspace bordering the river. These features are the result of plans designed by Frederick Law Olmsted. The Maplewood Rose Garden is the second largest Rose Test Garden in the United States. The Maplewood Historic District was listed in the National Register of Historic Places in 1997. The North Winton Neighborhood is made up of spacious and quiet residential streets, small essential businesses and professional services and an 82-acre wilderness park. This attractive urban village equation allows for tree-lined streets, well-maintained single family homes and half doubles, and an active engaged community whose mission is to maintain a “positive neighborhood vision in redevelopment.” Its neighborhood boundaries extend north to Colebourne Road/Merchants Road, south to Blossom Road, east to North Winton Road and west to Culver Road. There are two neighborhood associations within North Winton Village. The North Winton Village Neighborhood Association, founded 15 years ago, joins businesses and residents together for the greater good. Its major goals include “neighborhood preservation, beautification, pride in home ownership and patronization of neighborhood businesses.” Their motto: "Live, Shop and Beautify North Winton Village.” In 2011, residents in an area bounded by Culver Road, East Main Street, Cedarwood Terrace and Jersey Street joined together to create The North East Main Neighbors United (NEMNU).Today, NEMNU’s mission is to maintain, improve, and enhance the quality of life in the neighborhood by addressing safety issues, providing social activities, communicating with residents and local government, promoting beautification projects, linking needs with resource opportunities, and developing cooperative efforts with businesses and neighborhood groups. This wedge-shaped piece of the city is bordered by S. Clinton Avenue on the west, Field St on the south, and Interstate 490 on the east. The neighborhood received its moniker when a 19th-century Rochester pig farmer utilized the area to collect swill for his swine. The neighborhood association humorously honors its roots by using street signs featuring the Swillburg Pig. The area has one of the highest rates of homeownership in the city and is currently undergoing gentrification as well. The City of Rochester is served by the Rochester City School District which encompasses all public primary and secondary education. The district is governed by a popularly elected seven-member Board of Education. There are also parochial and private primary and secondary schools located within the city. Rochester City Schools consistently post below-average results when compared to the rest of New York State, although on-time graduation rates have improved significantly during the past three years. That being said, the high school graduation rate for African American males is lower in Rochester than in any city in the United States (9%). Charter schools in the city include Rochester Academy Charter School. The University of Rochester (U of R), was ranked as the 32nd-best university in the nation by U.S. News & World Report for 2014 and was deemed "one of the new Ivies" by Newsweek. The nursing school has received many awards and honors and the Simon School of Business is also ranked in the top 30 in many categories. The city of Rochester is home to numerous cultural institutions. These include the Garth Fagan Dance, the Rochester Philharmonic Orchestra, George Eastman House International Museum of Photography and Film, Memorial Art Gallery, Rochester Contemporary Art Center, Rochester Museum & Science Center, the Rochester Broadway Theater League, Strong National Museum of Play, the Strasenburgh Planetarium, Hochstein School of Music and Dance, and numerous arts organizations. Geva Theatre Center is the city's largest professional theatre. The East End Theater is located on East Main Street in the theater district. The Rochester Association of Performing Arts is a non-profit organization that provides educational theater classes to the community. Party in the Park, a summer-long event during which large, outdoor concerts are held every Thursday night for 10 weeks in the heart of Downtown Rochester. The festival features a variety of musical genres, mainly Alternative rock, Reggae, Folk and Blues. Recent performances include Gov't Mule, Rusted Root, Jimmy Cliff and Balkan Beat Box. The Cold Rush Winter Celebration (celebrating winter sports in the Rochester area). The Democrat and Chronicle is Rochester's main daily newspaper. The Daily Record, a legal, real estate and business daily, has published Monday through Friday since 1908. Insider magazine (owned by the Democrat and Chronicle), City newspaper and the Freetime entertainment magazine are free, weekly publications. Rochester Business Journal is the weekly business paper of record. The Good Life Magazine is a free bi-monthly publication. There is also a grassroots, democratically run, Independent Media Center called Rochester Indymedia. Media addressing the needs of Rochester's large African American population include About... time, and Minority Reporter, which has an associated news journal for the area's Latin American population, La Voz. Time Warner Cable provides Rochester with cable-fed internet service, digital and standard cable television, and Time Warner Cable News Rochester, a 24-hour local news channel. Midtown Plaza, the nation's first downtown shopping mall (partially demolished - Tower and Seneca Building still stand). Although Rochester is home territory to the Buffalo Bills and the Buffalo Sabres, Rochester has several professional sports teams of its own. As recently as 1994, there were only two professional sports franchises in Rochester: the baseball Red Wings and the hockey Americans. Since then, a number of new teams have been instituted (and a smaller number have folded), most of which have been very successful. In 2007, among cities in North America with at least seven (at the time) professional teams, Rochester was determined to be the only one whose teams all had cumulative winning regular season records. The Rochester Red Wings baseball club, the AAA affiliate of the Minnesota Twins, are one of the oldest existing franchises in all of professional sports. They play in the International League and won at least one pennant or championship in each decade of the 20th Century. The Rochester Americans ice hockey team, the AHL affiliate for the NHL Buffalo Sabres, are known as the "Amerks". The Rochester Rhinos soccer club played for many years in the A-League, which was the second-highest level American soccer league; the Rhinos even won the U.S. Open Cup against Major League Soccer competition in 1999. Frontier Field, including the Rochester skyline to the southeast. Lacrosse has seen some popularity in Rochester. The Rochester Knighthawks play box lacrosse in the National Lacrosse League during winter and spring. In outdoor lacrosse, the Rochester Rattlers were a charter member of Major League Lacrosse, but the franchise was transferred away after winning the championship in 2008; the Rattlers were then re-established in 2011. Also during the summer months, the Rochester Greywolves, comprising mostly local talent, play box lacrosse in the semi-pro CanAm Lacrosse League. In women's sports, Rochester is the home of the Western New York Flash, 2011 Women's Professional Soccer champions. In prior years, the Rochester Ravens have competed in the semi-pro W-League under a few different names. The Filarets were a notable women's basketball team that played in the 1930s, 1940s and 1950s. The city also has an independent pro-wrestling league: Pier 6 Wrestling. Rochester is the largest Metropolitan Statistical Area in the U.S. which does not include at least one college or university participating at the NCAA Division I level in all sports. Almost all area college sports are played at the NCAA Division III level. The only exceptions are the RIT men's and women's ice hockey teams, which compete at the Division I level. The men's team made it to the NCAA Frozen Four in 2010 and the women's team won the Division III national championship in 2012, just before switching over to Division I. Among junior colleges, MCC is dominant in NJCAA Division II sports. They are also a D-III golf powerhouse and in addition won back to back national championships for women's lacrosse in 2010 and 2011..
Rochester Erin's Isle is a gaelic football club located in Rochester. A short-lived, high-speed passenger/vehicle ferry Spirit of Ontario I built in Australia, nicknamed The Breeze or The Fast Ferry, linked Rochester to Toronto across Lake Ontario. Canadian American Transportation Systems(CATS) was the company in charge of the Fast Ferry operations. The Spirit of Ontario I had a delayed arrival on April 29, 2004 as a result of hitting a pier in New York City on April 5, 2004 and was finally officially christened on June 16, 2004 at the Port of Rochester. The Fast Ferry was bought by the City of Rochester in an attempt to save the project. The Fast Ferry operated between June 17, 2004, and December 12, 2005, and cost the city $42.5 million. The project was initially well received by inhabitants of Rochester. Considerable effort was spent by inhabitants of Rochester to build up the waterfront to embrace the idea as well as to capitalize on potential tourism which was estimated to be an additional 75,000 tourists per month. In the first three months of operation the fast ferry had carried about 140,000 people between Rochester and Toronto. A second Fast Ferry was proposed by CATS on August 27, 2004 which would have cost an additional $100 Million. Due to a number of problems concerning the ship's engine(June 6, 2004 blown gasket and September 2004 to June 2005) requiring costly repairs, the lack of mutual building up of waterfronts in Toronto and the inability of the city to put pressure on the company responsible for the production of the Fast Ferry yielded in the failure of the project. It was sold to Förde Reederei Seetouristik, a German company, for $30 million. The mayor at the time was William A. Johnson, Jr. and was succeeded by Robert Duffy on January 1, 2006. Historically, Rochester was a major stop on train lines. It was served by the New York Central Railroad which served Chicago and Buffalo to the west and Albany and New York City to the east and southeast. The Buffalo, Rochester and Pittsburgh Railway (absorbed by the Baltimore and Ohio Railroad) served Buffalo and Pittsburgh until 1955. A rail route to Salamanca in southern New York State afforded connections in Salamanca to southwestern and southeastern New York State. The last long-distance train in a southern direction was the Northern Express/Southern Express that went to Harrisburg, Pennsylvania via Canandaigua, Elmira and Williamsport; service ended in 1971. Public support continues to grow for re-watering the original Erie Canal through downtown Rochester. In support of the re-watering efforts, the City released a master plan in 2009 calling for the creation of Rochester's Historic Canal District. A subsequent environmental review document is set to be released in the near future, seeking additional public input. This district includes both private and public investment that builds upon the rich heritage of the district, educational opportunities, historic interpretation, architectural significant building and recreational amenities. The City is currently seeking public funds for implementing the first of three major phases of the Canal District. There are three exits off the New York State Thruway (Interstate 90) that serve Rochester. Rochester has an extensive system of limited-access highways (called 'freeways' and 'expressways') which connects all parts of the city and the Thruway. During the Thruway's construction, a disagreement between the governor of New York and mayor of Rochester resulted in a bypass of downtown Rochester, leaving the city struggling for growth. I-390 runs south-north, crossing I-90 (exit 46) and routing north through Rochester's western suburbs. Its northern end is at I-490, however it continues north as NY-390 until it merges into the Lake Ontario State Parkway. South of I-90, I-390 runs to Avoca, New York, where it meets up with U.S. Route 15 and the Southern Tier Expressway, I-86. I-490 runs west-east through Rochester, starting at Le Roy, New York and ending in Victor, New York. It interchanges with the two other Interstates in Rochester: I-390 at the western city limit and I-590 at the eastern limit, as well as connecting at both ends with the Thruway, I-90 (exits 47 and 45). In July 2007, a new bridge over the Genesee River was completed and named the Frederick Douglass–Susan B. Anthony Memorial Bridge. I-590 runs south-north through Rochester's eastern suburbs. Its southern end is at I-390, while the northern end is at I-490; the highway continues north to the shore of Lake Ontario as NY-590. In decreasing usage is the term "Can of Worms", referring to the previously dangerous at-grade intersection of Interstate 490 and expressway NY-590 on the eastern edge of the Rochester city limits, bordering the suburb of Brighton. In the 1980s, a multimillion dollar project created a system of overpasses and ramps that reduced the danger but resulted in the loss of certain exits. NY 104 - Just east of the NY 590 interchange, NY 104 becomes the Irondequoit-Wayne County Expressway and crosses the Irondequoit Bay Bridge. On the other side of the Bay Bridge, in the town of Webster, NY 104 has exits before returning to an at-grade highway at Basket Road. The Inner Loop encircles the downtown Rochester area. Unsigned reference New York State Route 940T begins and ends at Interstate 490, and the rest of the Loop is part of I-490 between exits 13 and 15, including the Frederick Douglass – Susan B. Anthony Memorial Bridge. ^ "Mayor Robert Duffy". City of Rochester, N.Y.. http://www.cityofrochester.gov/index.cfm?id=727. Retrieved 2007-08-01. ^ "Table 1. Annual Estimates of the Population of Metropolitan and Micropolitan Statistical Areas: April 1, 2010 to July 1, 2012". http://www.census.gov/popest/data/metro/totals/2012/tables/CBSA-EST2012-01.csv. Retrieved June 14, 2013. ^ "City of Rochester | 175 Years of Rochester History - An Interactive Timeline". Cityofrochester.gov. http://www.cityofrochester.gov/175/. Retrieved 2012-11-12. ^ Savageau, David (2007). Places Rated Almanac (25th Anniversary Edition ed.). Places Rated Books. ISBN 0-9793199-0-0. http://placesrated.com/. ^ Levy, Francesca (2010-06-07). "America's Best Places to Raise a Family". Forbes.com. http://www.forbes.com/2010/06/04/best-places-family-lifestyle-real-estate-cities-kids.html. ^ "Best Cities for Families". Kiplinger. http://www.kiplinger.com/slideshow/best-cities-families-kpfm/2.html. Retrieved 2012-11-12. ^ "New York Homes For Sale By City". New York Real Estate Trends. RealEstate.com. http://www.realestate.com/state/NY/. Retrieved 22 January 2013. ^ Oklahoma State University Library. "Treaty of Big Tree". Digital.library.okstate.edu. http://digital.library.okstate.edu/kappler/vol2/treaties/sen1027.htm. Retrieved 2012-12-28. ^ Blake McKelvey, "The Germans of Rochester: Their Traditions and Contributions", Rochester History], Vol. 20, No. 1 (January 1958), pp. 7–8. 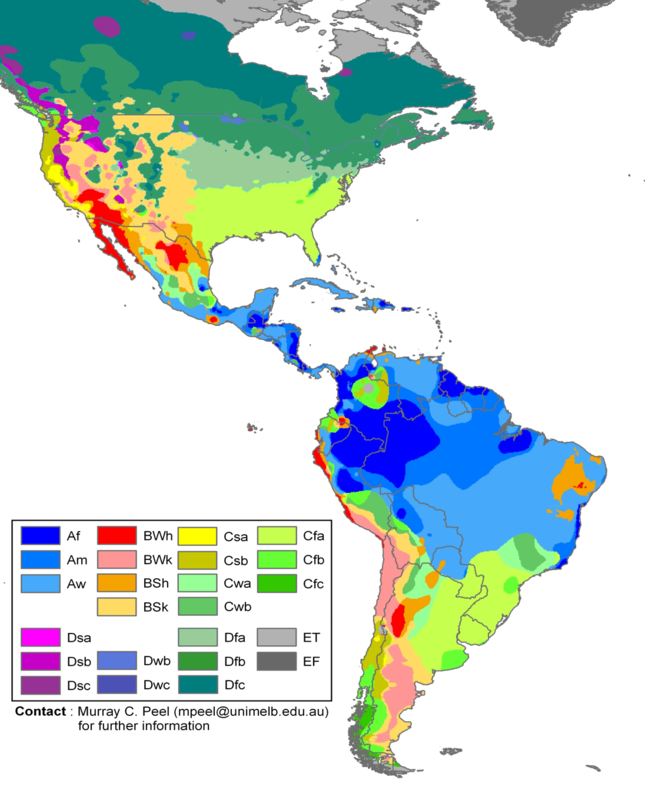 ^ "New York - Race and Hispanic Origin for Selected Cities and Other Places: Earliest Census to 1990". U.S. Census Bureau. http://www.census.gov/population/www/documentation/twps0076/twps0076.html. Retrieved May 4, 2012. ^ a b "NowData - NOAA Online Weather Data". National Oceanic and Atmospheric Administration. http://www.nws.noaa.gov/climate/xmacis.php?wfo=buf. Retrieved 2011-12-29. ^ "Monthly Averages for Rochester, NY (14606)". The Weather Channel. http://www.weather.com/outlook/travel/vacationplanner/wxclimatology/monthly/14606. Retrieved 2011-12-29. ^ "Climatological Normals of Rochester". Hong Kong Observatory. http://www.hko.gov.hk/wxinfo/climat/world/eng/n_america/us/rochester_e.htm. Retrieved 2010-05-14. ^ "U.S. Decennial Census". Census.gov. http://www.census.gov/prod/www/decennial.html. Retrieved April 19, 2013. ^ "Annual Estimates of the Resident Population for Incorporated Places: April 1, 2010 to July 1, 2012". http://www.census.gov/popest/data/cities/totals/2012/SUB-EST2012-3.html. Retrieved June 14, 2013. ^ "Rochester (city) QuickFacts from the US Census Bureau". Quickfacts.census.gov. http://quickfacts.census.gov/qfd/states/36/3663000.html. Retrieved 2012-11-12. ^ "Rochester (city), New York". State & County QuickFacts. U.S. Census Bureau. http://quickfacts.census.gov/qfd/states/36/3663000.html. Retrieved May 4, 2012. ^ "Making History: A Black Man's Hands Speak Eloquently". The New York Times. 2003-05-24. http://www.ntid.rit.edu/media/full_text.php?article_id=277. Retrieved 2008-01-03. ^ "Offenses Reported to Law Enforcement by State by City 100,000 and over in population Montana through Ohio". Uniform Crime Reports. http://www.fbi.gov/about-us/cjis/ucr/crime-in-the-u.s/2012/preliminary-annual-uniform-crime-report-january-december-2012/tables/table-4-cuts/table_4_offenses_reported_to_law_enforcement_by_state_montana_through_ohio_2012.xls. Retrieved 2013-06-14. ^ "Best Places to Live 2006: Rochester Snapshot". CNN. http://money.cnn.com/magazines/moneymag/bplive/2006/snapshots/PL3663000.html. ^ "Rochester, New York". City-data.com. http://www.city-data.com/city/Rochester-New-York.html. Retrieved 2010-09-30. ^ "Crime in Rochester, New York (NY)". City-data.com. http://www.city-data.com/crime/crime-Rochester-New-York.html. Retrieved 2013-04-19. ^ "Xerox Corporation Fact Book: Company facts, history, information". Xerox.com. http://www.xerox.com/go/xrx/template/019d.jsp?view=Factbook&id=XAG&Xcntry=USA&Xlang=en_US. Retrieved 2012-12-28. ^ "Buildings of Rochester, 2008". Emporis. http://www.emporis.com/en/wm/ci/bu/?id=101847. ^ "America's Largest Credit Unions". December 2008. http://creditunionaccess.com/top50creditunions.htm. Retrieved 2010-09-11. ^ "History / Wegmans". Wegmans home page. http://www.wegmans.com/webapp/wcs/stores/servlet/CategoryDisplay?storeId=10052&identifier=CATEGORY_1381. Retrieved 2010-08-11. "1916 John Wegman opens the Rochester Fruit & Vegetable Company. He is joined by his brother Walter a year later." ^ "Wegmans Food Markets to Build New Meat Processing Plant in Chili, N.Y.". The Buffalo News. 2004-01-30. http://www.accessmylibrary.com/article-1G1-118512075/wegmans-food-markets-build.html. Retrieved 2010-08-11. "The new plant will retain the 330 jobs from the existing plant, next to the company's headquarters in Gates, NY." ^ "City of Rochester | Meet Rochester's City Councilmembers". Cityofrochester.gov. http://www.cityofrochester.gov/article.aspx?id=8589935617. Retrieved 2012-11-12. ^ City Begins NET Consolidation, WXXI - June 17, 2008. ^ W, Eric (2012-03-02). "Senate District 55". View 2012 Senate District Maps. Albany, New York: The New York State Legislative Task Force on Demographic Research and Reapportionment. http://www.latfor.state.ny.us/maps/2012s/fs55.pdf. Retrieved 2013-01-06. ^ W, Eric (2012-03-02). "Senate District 56". View 2012 Senate District Maps. Albany, New York: The New York State Legislative Task Force on Demographic Research and Reapportionment. http://www.latfor.state.ny.us/maps/2012s/fs56.pdf. Retrieved 2013-01-06. ^ W, Eric (2012-03-02). "Senate District 61". View 2012 Senate District Maps. Albany, New York: The New York State Legislative Task Force on Demographic Research and Reapportionment. http://www.latfor.state.ny.us/maps/2012s/fs61.pdf. Retrieved 2013-01-06. ^ W, Eric (2012-01-25). "Assembly District 136". View Proposed 2012 Assembly District Maps. Albany, New York: The New York State Legislative Task Force on Demographic Research and Reapportionment. http://www.latfor.state.ny.us/maps/prop2012a/pa136.pdf. Retrieved 2013-01-06. ^ W, Eric (2012-01-25). "Assembly District 137". View Proposed 2012 Assembly District Maps. Albany, New York: The New York State Legislative Task Force on Demographic Research and Reapportionment. http://www.latfor.state.ny.us/maps/prop2012a/pa137.pdf. Retrieved 2013-01-06. ^ W, Eric (2012-01-25). "Assembly District 138". View Proposed 2012 Assembly District Maps. Albany, New York: The New York State Legislative Task Force on Demographic Research and Reapportionment. http://www.latfor.state.ny.us/maps/prop2012a/pa138.pdf. Retrieved 2013-01-06. ^ "Legislative District Map". Rochester, New York: Monroe County Board of Elections. 2012-01-24. http://www2.monroecounty.gov/files/leg/New%20County%20Leg%20Color%20with%20Index%202012%20%281%29.pdf. Retrieved 2013-01-13. ^ "City of Rochester | Rochester Fire Department". Cityofrochester.gov. http://www.cityofrochester.gov/article.aspx?id=8589936630. Retrieved 2012-12-28. ^ "City of Rochester | About the Rochester Fire Department". Cityofrochester.gov. http://www.cityofrochester.gov/article.aspx?id=8589936227. Retrieved 2012-12-28. ^ "City of Rochester | Fire Department Annual Report". Cityofrochester.gov. http://www.cityofrochester.gov/article.aspx?id=8589936489. Retrieved 2012-12-28. ^ a b "National Register Information System". National Register of Historic Places. National Park Service. 2009-03-13. http://nrhp.focus.nps.gov/natreg/docs/All_Data.html. ^ "1964 Rochester race riot - Wikipedia, the free encyclopedia". En.wikipedia.org. http://en.wikipedia.org/wiki/Rochester_1964_race_riot. Retrieved 2012-11-12. ^ "Independent Lens . JULY '64 . Timeline". PBS. http://www.pbs.org/independentlens/july64/timeline.html. Retrieved 2012-11-12. ^ "Independent Lens . JULY '64 . Filmmaker Q&A". PBS. http://www.pbs.org/independentlens/july64/qa.html. Retrieved 2012-11-12. ^ "19th Ward Community Association". 19wca.org. http://www.19wca.org. Retrieved 2012-11-12. ^ "Upper Monroe Neighborhood Association | UMNA". Uppermonroeavenue.org. http://www.uppermonroeavenue.org. Retrieved 2012-11-12. ^ "Merchants". Uppermonroeavenue.org. http://www.uppermonroeavenue.org/Merchants/Merchants.html. Retrieved 2012-11-12. ^ "South Wedge History and Maps". http://southwedge.ning.com/group/southwedgehistoryandmaps. Retrieved 2008-05-24. ^ Created by Tracy Saville View Groups. "South Wedge Gay Neighbors". Southwedge.ning.com. http://southwedge.ning.com/group/southwedgegayneighbors. Retrieved 2012-12-28. ^ Diana Louise Carter, "Signs of Progress: Residents restore a faded South Wedge to Glory,” Democrat and Chronicle, October 10, 2004. ^ "National Register of Historic Places Listings". Weekly List of Actions Taken on Properties: 8/24/09 through 8/28/09. National Park Service. 2010-09-04. http://www.nps.gov/history/nr/listings/20090904.htm. ^ Kathleen LaFrank (September 1988). "National Register of Historic Places Registration: Madison Square-West Main Street Historic District". New York State Office of Parks, Recreation and Historic Preservation. http://www.oprhp.state.ny.us/hpimaging/hp_view.asp?GroupView=4182. Retrieved 2009-09-01. ^ "Rochester's Best Schools: Ratings, Reviews, and Grades - Zillow School Information". Zillow.com. http://www.zillow.com/school/NY-Rochester/Rochester-City-School-District-13755/. Retrieved 2012-11-12. ^ "Damon City Campus". Brighton, Monroe County, New York: Monroe Community College. http://www.monroecc.edu/depts/dccdean/. Retrieved 2011-12-21. ^ "About the MetroCenter". Brockport, New York: State University of New York at Brockport. http://www.brockport.edu/metrocenter/aboutmetro.html. Retrieved 2011-12-21. ^ "About r". Henrietta, New York: Rochester Institute of Technology. http://cias.rit.edu/~galleryr/index.php?page=about-us. Retrieved 2011-12-27. ^ "Empire State College in Rochester". Saratoga Springs, New York: Empire State College. http://www.esc.edu/genesee-valley/locations/rochester/. Retrieved 2011-12-21. "In 1999, the center moved from Prince Street to 1475 Winton Road North, where it celebrates 30 years of service, of excellence and innovation." ^ "The Inauguration of Anne M. Kress; About MCC". Brighton, Monroe County, New York: Monroe Community College. http://www.monroecc.edu/go/inauguration/aboutmcc.htm. Retrieved 2011-12-21. "In June 1968, MCC moved to a new, modern campus at 1000 East Henrietta Road. The College opened its Damon City Campus, located at Main Street and Clinton Avenue, in January 1992." ^ "History of RIT". Rochester Institute of Technology. http://www.rit.edu/overview/history.html. Retrieved 2010-05-29. ^ "College graduates fuel Rochester’s fame". Democrat and Chronicle (Rochester, New York). 2010-04-24. ISSN 1088-5153. Archived from the original on 2010-05-06. http://wagner.edu/newsroom/node-539/. Retrieved 2013-07-04. "What is now Staten Island’s Wagner College was founded in Rochester in 1883 as the Lutheran Proseminary. It operated out of two homes in its first three years until Rochester builder John George Wagner donated the money that the college used to start its own campus on Oregon Street near downtown. In 1886, the school was renamed in honor of Wagner, and in 1918 it moved to Staten Island..."
^ "Best Colleges 2014: University of Rochester". U.S. News & World Report. http://colleges.usnews.rankingsandreviews.com/best-colleges/university-of-rochester-2894. Retrieved 2013-11-06. "University of Rochester's ranking in the 2014 edition of Best Colleges is National Universities, 32." ^ "America's 25 New Elite 'Ivies', August 21, 2008". Newsweek. 2007-08-30. http://www.msnbc.msn.com/id/14325172/site/newsweek/page/4/. Retrieved 2010-09-15. ^ Wickes, Majorie; Tim O'Connell (April 1988). "The Legacy of Frederick Law Olmstead". Rochester History L (2). ISSN 0035-7413. Retrieved on 2007-12-29. ^ "Xerox Rochester International Jazz Festival". Rochesterjazz.com. http://rochesterjazz.com/php/about.php. Retrieved 2012-11-12. ^ "About Us « High Falls Film Festival – Rochester, NY". Film360365.com. http://film360365.com/festival/. Retrieved 2012-11-12. ^ "Welcome". Rochesterfilmfest.org. 2012-01-23. http://rochesterfilmfest.org/. Retrieved 2012-11-12. ^ "Rochester, New York". Lilac Festival. http://lilacfestival.com/. Retrieved 2012-11-12. ^ "Rochester, New York". Lilac Festival. http://lilacfestival.com/scheduleofevents.html. Retrieved 2012-11-12. ^ "Rochester St. Patrick's Day Parade". Rochesterparade.com. 2012-03-17. http://www.rochesterparade.com/faq.php. Retrieved 2012-11-12. ^ "::: Puerto Rican Festival (Rochester, NY) | History :::". Prfestival.com. http://www.prfestival.com/history.html. Retrieved 2012-11-12. ^ "about...time". Abouttimemag.com. http://www.abouttimemag.com/. Retrieved 2012-12-28. ^ "Lavoz". Rochesterlavoz.com. http://www.rochesterlavoz.com/. Retrieved 2012-11-12. ^ "About The post express. (Rochester, N.Y.) 1882–1923". Library of Congress. http://chroniclingamerica.loc.gov/lccn/sn84031519/. Retrieved May 26, 2011. ^ "About Rochester evening journal. (Rochester, N.Y.) 19??-1923". Library of Congress. http://chroniclingamerica.loc.gov/lccn/sn85054135/. Retrieved May 26, 2011. ^ "About Rochester journal and the post express. (Rochester, N.Y.) 1923-193?". Library of Congress. http://chroniclingamerica.loc.gov/lccn/sn84031938/. Retrieved May 26, 2011. ^ "Rochester makes 10-best golf cities list (November 27, 2007)". Democrat & Chronicle. http://www.democratandchronicle.com/apps/pbcs.dll/article?AID=2007711270334. Retrieved 2007-11-27. ^ "Rochester Sports". http://www.ci.rochester.ny.us/index.cfm?id=485. Retrieved 2008-01-13. ^ "Bob Matthews Sports Column, July 21, 2007". Democrat and Chronicle. 2007-07-21. http://www.democratandchronicle.com/apps/pbcs.dll/article?AID=/20070721/SPORTS0101/707210319/1007/SPORTS. Retrieved 2007-07-21. ^ Rochester Erin's Isle Gaelic Football Club - GAA. Rochestergaa.com. Retrieved on 2013-08-02. ^ "Rochesterbicyclingclub.Com". Rochesterbicyclingclub.Com. http://www.rochesterbicyclingclub.com/. Retrieved 2012-11-12. ^ Shearing, Emily (2010-07-17). "CheapFlights rates Rochester airports No. 14". Democrat and Chronicle (Rochester, New York: Gannett Company). Archived from the original on 2010-07-21. http://www.webcitation.org/5rO5cibGi. Retrieved 2010-07-21. ^ Dawson, Evan (2010-07-12). "Rochester's Airport: Are Flights Actually Cheaper These Days?". Archived from the original on 2010-07-24. http://www.webcitation.org/5rTF9IL8H. Retrieved 2010-07-24. ^ Johnston, David Cay (1999-03-21). "Travel Advisory: Correspondent's Report; Upstate New York May Get Air Fare Relief". The New York Times (New York, New York). Archived from the original on 2010-07-21. http://www.webcitation.org/5rOmhTpAJ. Retrieved 2010-07-21. ^ Pritchard, Keith (1972-12-24). "Fate of 'Busway' Rests With Drivers". Rochester Democrat and Chronicle. ^ a b c d e f g h i j k l m "Rochester's Sister Cities". City of Rochester. http://www.cityofrochester.gov/article.aspx?id=8589938076. Retrieved 2010-12-06. ^ "Sister Cities Bridge Renamed "Frank and Janet Lamb Sister Cities Bridge"" (Press release). City of Rochester, New York. 2006-10-11. http://www.cityofrochester.gov/mayor/NewsReleases/index.cfm?release=2257. Retrieved 2007-06-10. "Mayor Robert J. Duffy conducted a ceremony today on the Sister Cities Bridge, officially renaming it the Frank and Janet Lamb Sister Cities Bridge." This page uses content from the English language Wikipedia. The original content was at Rochester, New York. The list of authors can be seen in the page history. As with this Familypedia wiki, the content of Wikipedia is available under the Creative Commons License.